Picking a polish color for your manicure can sometimes feel like a guessing game, especially if you work in a conservative environment. Pinks and reds can be ho-hum, but should you toe the wild-color line if it could mean sideways glances and a terse email from HR? Don't bite your nails over it anymore (especially if you just got them done!). We've rounded up some colors that are work-appropriate but still have tons of personality. Whether you're at a board meeting or a barbecue, these hues will get the good kind of attention. Muted pastels are work-appropriate, so why not try a fun color? baby, powder-blue shade with enough personality to work on your days off, too. While neon orange may be perfect for a weekend party, it could earn you some serious demerits at work. But don't disqualify this bright color. Pick an orange that's cut with a coral, to wear the color in a more subtle way. 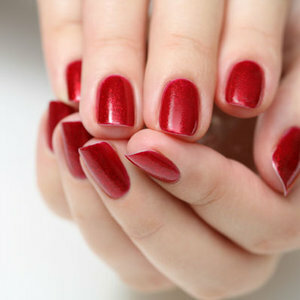 Red is a classic nail color and an old standby in the workplace. Pick a deeper hue to give your nails a bit more panache. Just because you need to stick to neutrals doesn't mean they have to be boring. a cool khaki color that's also cocktail-party-perfect is a great way to go natural! A bright pink can work at work, especially if you're in a creative field. It's a punch without being overly showy. Navy blue is one of those colors that works with everything but tends to get overlooked. 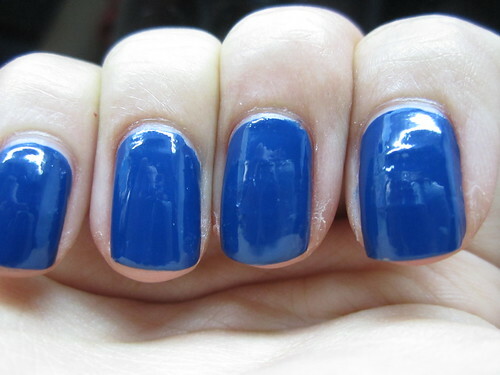 Paint your nails with navy for a look that's charming and corporate-friendly.